Modern Sine-wave Inverters provide superior power to generators – clean silent power that is available 24 hours seven days a week. From simple cabin systems to powering complete home systems requiring 18 to 29 kilowatts of continuous power – there is an inverter to suite your needs and power your dream. Please visit our consulting page for Off-Grid and Recreational worksheets. Our dedicated staff with 30 years experience in Solar Electric Systems will review your information and specify the right equipment for your needs. 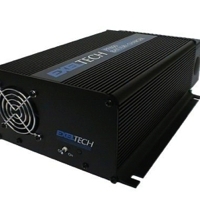 Made in America, EXELTECH Inverters are the most affordable, reliable, lightweight and best regulated, true sine wave inverters available. 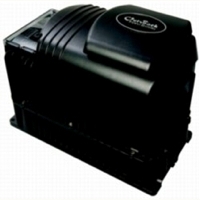 The XP SERIES inverter will operate any AC load anywhere. Ultra lightweight, yet rugged enough for the most extreme mobile environments, and are UL listed to 1950 for telecom applications. 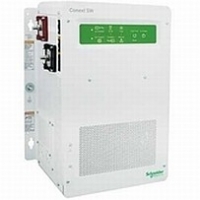 Schneider Conext SW is a pure sine wave, inverter/charger system with switchable 50/60 Hz functionality available for both 120/240 VAC or 230 VAC models. North American units feature split-phase input and output without the need for an external transformer. Available DC and AC switchgear panels, display control panel, remote monitoring and automated generator control modules present even more value. Stacking Conext SW units will double the power and available solar charge controllers allow for the integration of solar capacity as required. 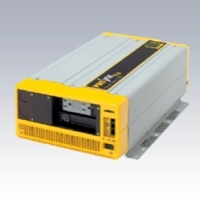 Magnum Energy is a leading manufacturer of premium inverter/chargers for Mobile and Renewable Energy applications. With more than 70 years of combined inverter manufacturing and design experience, Magnum Energy has used this experience to develop some of the industry’s most reliable and advanced inverter/chargers. Product is made in America. 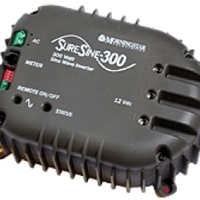 The Morningstar SureSine™ is a 300 watt pure sine wave inverter (12 volt DC input) designed specifically for remote off-grid photovoltaic (PV) systems. It is an ideal inverter for rural electrification projects, telecom, remote cabins and weekend homes, and RV or caravans and boats. The SureSine’s combination of performance, features and competitive price provides the best small inverter value on the market. The Radian Series GS8048 off Grid/Hybrid™ (full-flexibility grid-interactive/off-grid) inverter/chargers are engineered toward one goal: making system design and installation easier and faster in grid-interactive and comprehensive off-grid applications. The Radian Series simplifies the configuration, distribution, and implementation of energy storage through a standardized approach when integrated with an OutBack GS Load Center, making it easier than ever to provide successful solutions for virtually any residential, commercial or institutional power requirement. OutBack’s products are engineered to provide your home or business with reliable electricity day-in and day-out. The OutBack modular system architecture allows your system to grow along with your power needs up to 36,000 watts. Power hungry appliances like washing machines, air conditioning and power tools are easily started by this inverter’s substantial surge power capability.